We have developed an authentic and delicious Greek New Years menu. Join us during the holiday season to celebtrate. See the 2014 Greek New Years menu here. 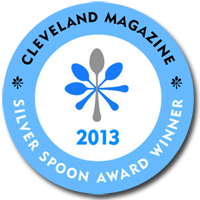 We are proud to announce that we were awarded a 2013 Silver Spoon Award by Cleveland Magazine. 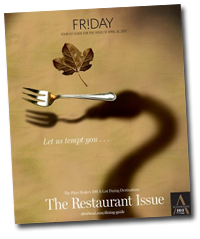 Like Us on Facebook to see our delicious food, plates of the day and special events. "Like" Taki's on Facebook.